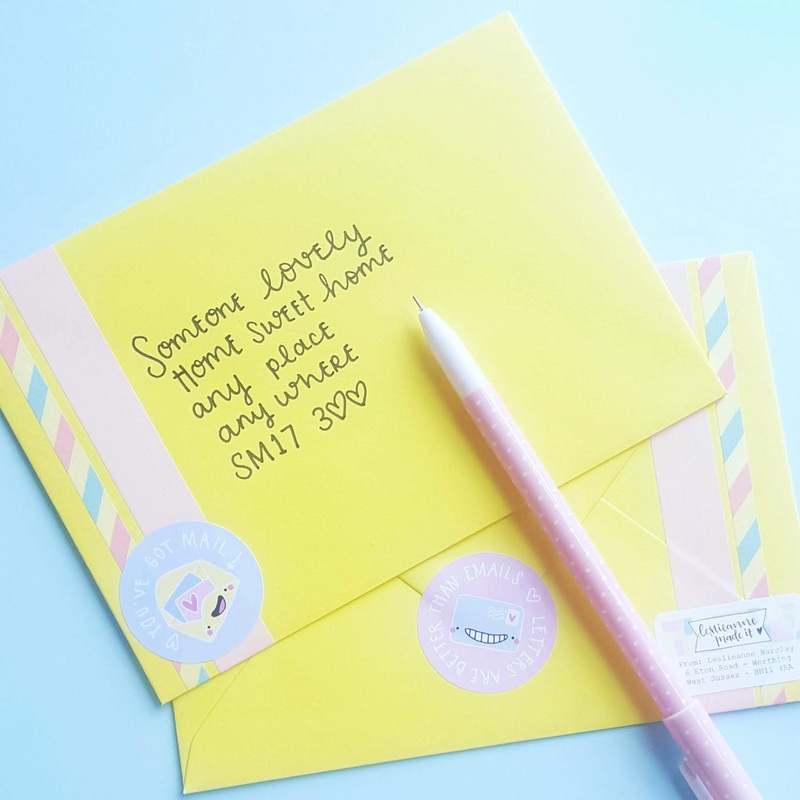 leslieanne wrote it: Smiley Snail Mail - A Handwritten Letter & Colourful Treats from Me to You! 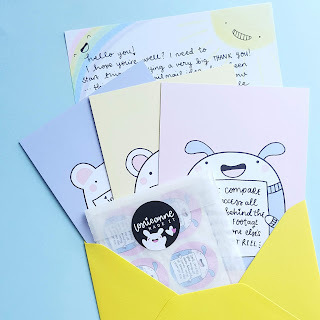 Smiley Snail Mail - A Handwritten Letter & Colourful Treats from Me to You! Hands up if you love the (slightly retro) thrill of receiving good old fashioned post? Once a month, I'm going to fill up colourful envelopes with treats & cheer, & send them out into the world to make people smile! Want one? Keep Reading! The idea has been bubbling away in my brain for a while now - ever since I unearthed a box of old penpal letters & postcards (mostly from Postcard X - anyone else remember that wonderful site?!) during another declutter attempt. I had loads of penpals in my teens/early twenties. I loved writing letters and getting to know people from all over the world. But, of course, circumstances change - I had a baby for one, then started working freelance, then running my own business... let's just say there wasn't a lot of time left for letter writing! I'm actually still in touch with quite a few of my old penpals on social media, which is lovely, but it's not the same is it? That's why I've come up with Smiley Snail Mail. 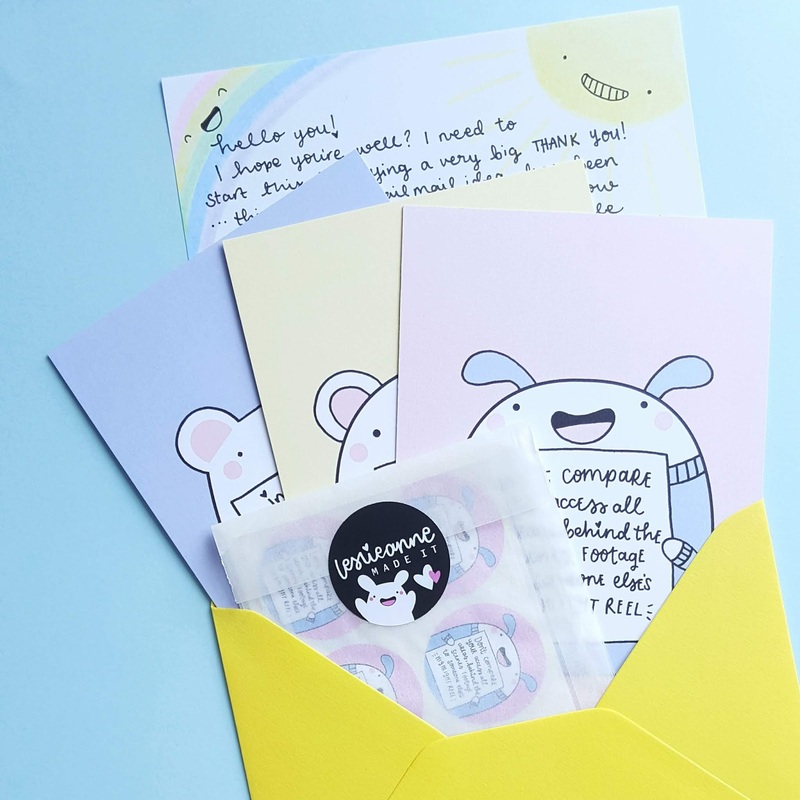 💌 I'm sending my first batch of envelopes out on Monday 2nd July, you've got until Sunday 24th June to snap up a spot, but numbers are limited, so get in quick! 💌 There's absolutely NO obligation to buy an envelope every month, you can pick & choose when you'd like some fun to land on your doormat!